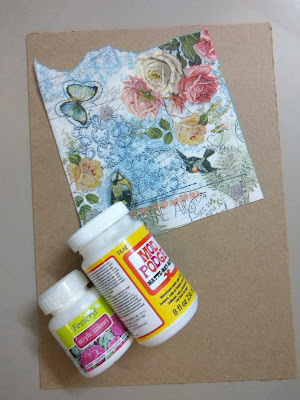 Few days back I posted a mixed media project as my Dt inspiration for current May challenge on the blog.I got incredible response for my mixed media project.Lot of people were asking how I have done this. 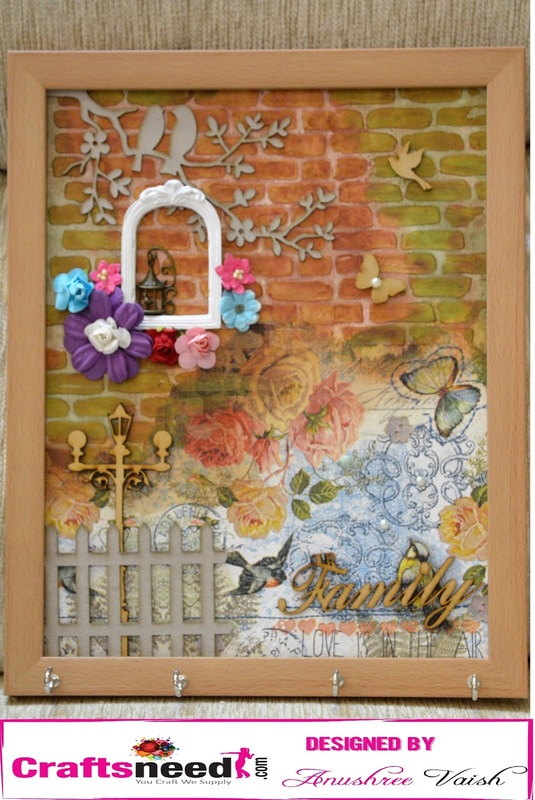 So today I have a nice tutorial post for you all taking you to a tour of mixed media art.Mixed media art is anything where we combine various techniques in a single frame.Let me show you the frame first and then talk more on this. For this frame I have a used a cardboard as my base and then have put white acrylic paint to cover as a coat on the cardboard.Once the white acrylic paint has dried I have done decoupage with modpodge and tissues. Once my decoupage is done and dried ,I used a brick stencil to create a pattern on the cardboard.For this i used Modelling paste by Finnabair.I simply applied this paste on the surface with the help of a painting knife.This paste will dry in next 15 minutes.Be sure to was off this paste from the stencil. After drying this is how the pattern will look like. Now I started distressing the whole pattern with the help of distress inks.I have also used sprays by Papericious to give better effect on the pattern background. Now this is how it looks after drying. Time to embellish it with chipboard, flowers.metal embellishments and other accessories.I have stuck everything using Glossy accents glue. Let me share some close ups of the project. Hope you enjoyed the making,Happy crafting! !